I am writing this blog around 7:00pm having just finished dinner BUT still a little bit hungry for something sweet. One of my favorite go-to sweet fixes is the little but mighty M & M. There are lots of things to love about M & M’s like 1) a handful of these sweet little chocolate darlings can be just right, 2) they come in all kinds of flavors so I can have peanut one day, pretzel the next, and even mint flavor after that, and 3) as the slogan says, “They melt in your mouth, not in your hand” (unless you are in Las Vegas during July…but I digress). As you can tell, I love candy M & Ms. Let’s expand this love of M & Ms into thinking about formative assessments/feedback for early learning. The M & M Factor can help us to get formative assessments “just right” for early learners. The first M stands for Meaningful. Formative assessments need to focus on important learning that can be captured through ongoing interactions and observations of our students. The second M stands for Manageable. Assessments should be simple in design, easy to use, and adaptable to different needs of students. 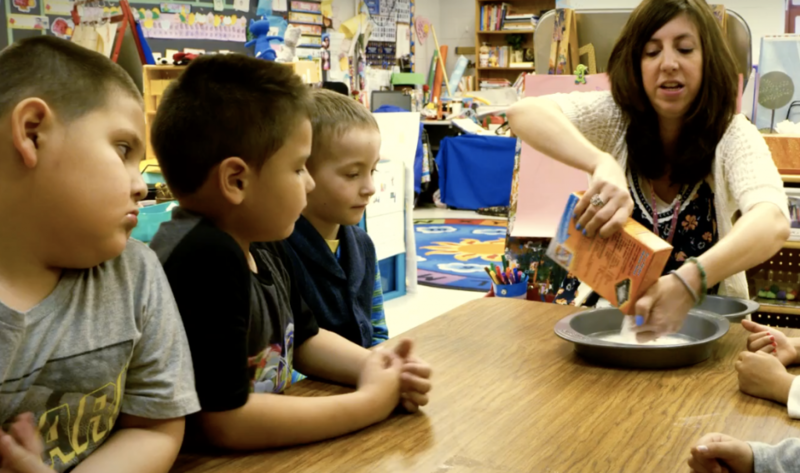 In this Blended PreK classroom, Amy Haffner is using data “look for” sheets to observe how students put their small group learning concepts and language into independent or peer play during Center time. What makes these “look for” data sheets MEANINGFUL is that they are aligned to the district/state early learning standards. What makes them MANAGEABLE is that Amy uses just one or two learning indicators to “look-n-listen” for during any Center observation. She keeps her notes simple, focused with clear descriptions and verbatim statements. She also uses them to monitor learning progress over Fall, Winter and Spring! 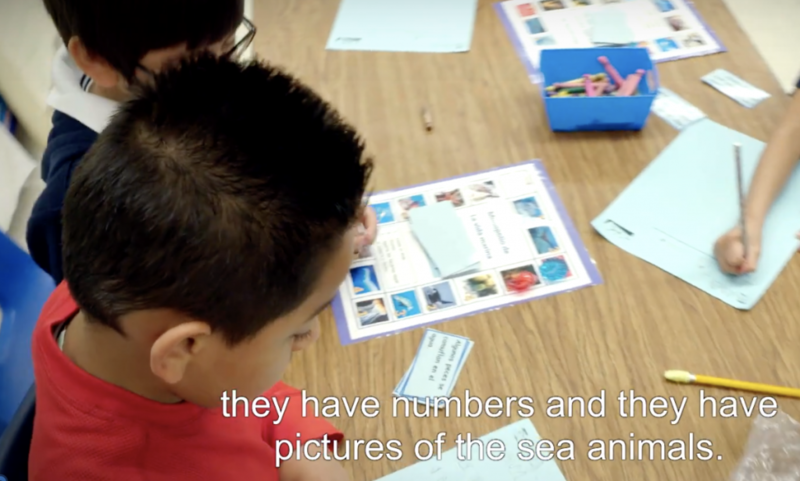 Formative assessments is embedded into the instructional design of Martha Mancera’s Dual Language Kindergarten Classroom. In small groups or as an individual learning extension after a whole group language/science lesson, Martha is monitoring student learning through a variety of means, including specifically formulated questions, differentiated as needed to elicit evidence of student understanding. 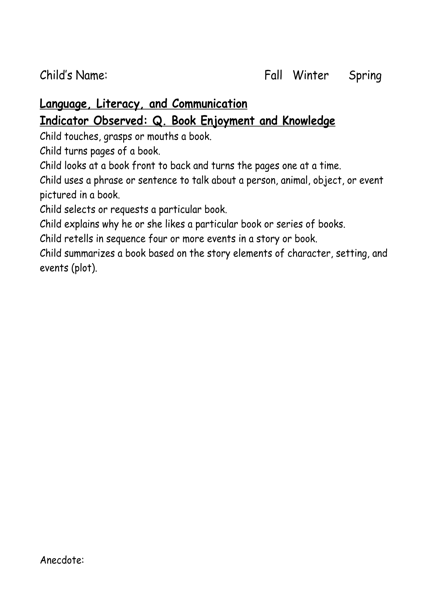 In the small group, running records are used to monitor and adjust instruction during the reading/thinking process. After a whole group lesson, a writing extension gives Ms Mancera an opportunity to monitor and extend individual student learning through journal writing. Individual feedback is given on spelling words, key content, and questions that students have regarding the writing process. 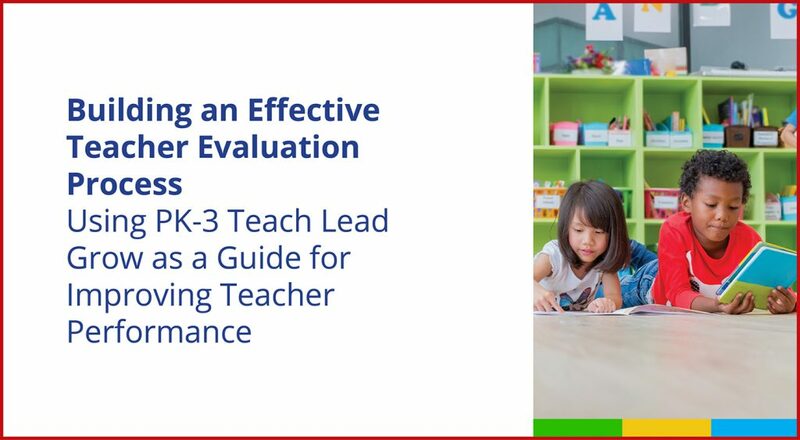 These assessments have the M & M Factor because they allow the teacher to be adjusting instruction in “real learning time” based on what she is observing and documenting. One of the easiest and most powerful ways to add Meaningful & Manageable Assessments into your teaching is through focusing on the quality of your student feedback. Feedback is responding in personalized and purposeful ways to what children say and do that deepens their understanding or encourages them to persist in learning tasks or reach a deeper level of understanding. I often think about feedback as giving cues, clues, and questions that help students to keep thinking but DOES NOT give the “quick answer”. Here are some early learning M & M Feedback strategies/examples that you can put into practice tomorrow! *Follow-up questions like “What did you discover? How did you do that? What was hard? How did you figure that out? What have you tried so far? Prompting Thought Processes: Asking children to explain why they thought or did something. *What did you do first? Next? *Tell me what you have tried. Scaffolding: Giving children hints or other help when they have trouble completing a task or understanding a concept. *Have you tried _____? How did that work? *Remember in our book what the ____ did? Could that help you too? *Look at this picture on the chart. Use this to figure out what to do next. Whether it is “look-n-listen for” data sheets, running records, formative feedback or ______ (fill in the blank), there are endless ways to make formative assessment more meaningful AND manageable. What formative assessments do you use on a regular basis that might have the “M & M factor”? “I DO” usually happens in whole group, often referred to as a group meeting or circle time: During the “I do, the teacher supports class discussions, models vocabulary and key concepts, support making plans, and provides information and experiences that all the children need. In Kim Deering’s Kindergarten whole group time, the teacher has purposefully determined key questions during the read aloud on sticky notes to guide questions/discussion prompts that she uses with students to support key thinking skills. Teacher is initiating new skills, experience, idea, use of material, with the scaffolding within the activity to maximize each child’s learning. Every child has their own materials, experimenting and working at their level, with the teacher differentiating the support. “You DO together” and “You DO alone” are usually intertwined in play-rich learning centers: At the preschool and kindergarten levels, part of the classroom is typically divided into learning centers, or interest areas that offer children a range of options for engagement. The play that takes place in these centers such as blocks and dramatic play is vital to children’s learning and development. For each center, the teacher carefully selects materials and activities to support educational goals. The teacher also makes a point of observing what children are doing in each center, in order to guide later planning. 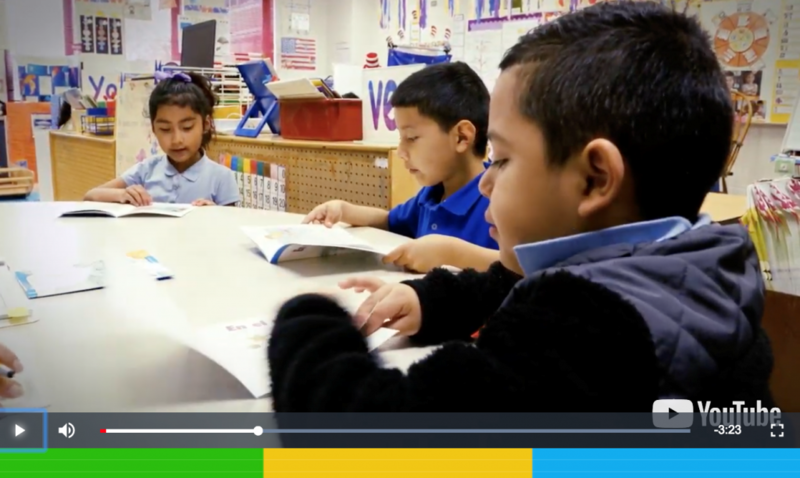 In Zahidee Marcano’s dual language Kindergarten classroom, you will see learning centers “in action” where students apply their knowledge and productively work with other students to build fluency and flexibility in key learning concepts. The teacher uses this time to work individually to support students while the other students get to customize their learning through a variety of modalities with their peers. SPECIAL BONUS RESOURCE on the IMPORTANCE of PLAY: A key non-negotiable of well developed, engaging “We DO TOGETHER” learning centers is the essence of play. In play, children make choices, solve problems, converse, and negotiate. Edutopia recently published a very insightful article, “Key Aspects of Play in Early Education”. The article provides some important considerations for teachers on integrating play into early childhood learning environments AND could be a great resource to share with administrators, colleagues, and our families ☺!!! So “spring into some new ideas” for engaging our children through the gradual release of teaching for deep, playful, wonderful early childhood learning ☺! 3) Collaborative Planning and Reflection Conversations. WOW…lots of possibilities ALL organized in one place. Have fun focusing in on that JUST RIGHT ______ (fill in the blank) early learning topic ☺! 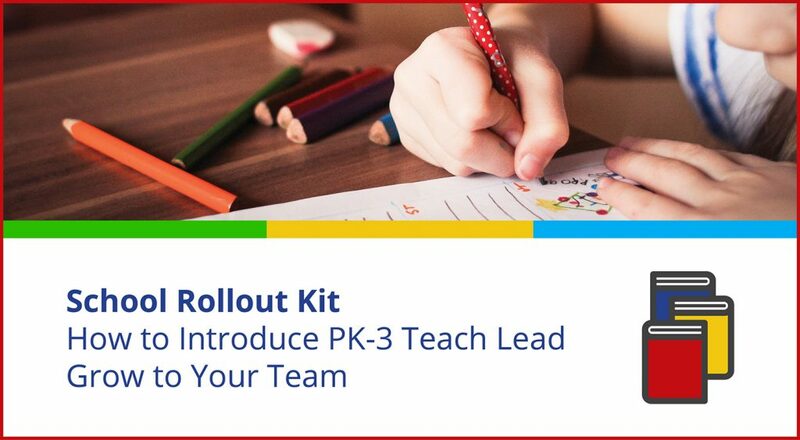 Just 5 steps so gather up your leadership team and start planning today ( or in the next few weeks) for how to introduce the PK3TEACHLEADGROW.org to your staff for learning success! 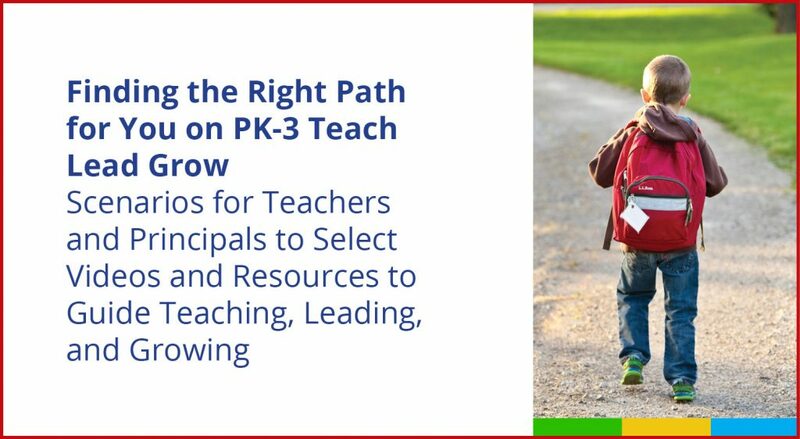 RESOURCE #4 is BEST PLACE to START for REALLY BUSY EDUCATORS: So you have visited PK3TeachLeadGrow.org BUT you got a little overwhelmed by all the resources. The Look and Listen Guide it a great place to start with JUST ONE VIDEO ☺! 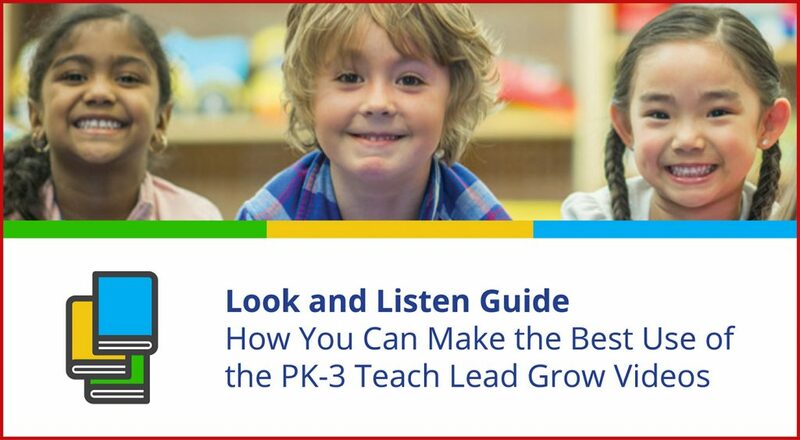 This resource has you focus on one video that has piqued your interest AND then provides you guiding questions to reflect and connect this video to your instructional priorities. Do it by yourself with a beverage of choice at the beginning or end of a busy teaching day OR use with your teaching team to capture many ideas and possibilities! Remember, just start with one and see where it leads you and your colleagues from there!!! Lisa Hood, of Illinois State University’s Center for the Study of Education Policy, and Pam Rosa, of Rosa Educational Consulting and the Danielson Group, will present at the National Association of Elementary School Principal’s (NAESP) 2018 PreK-8 Principal’s Conference in Orlando, Florida being held July 9-11, 2018. For more information about the conference please see: http://www.naespconference.org/ We will provide more updates about this session as the event gets closer. On April 19th-20th, 2018, at the DoubleTree Inn in Bloomington, Illinois, the Illinois Network of Child Care Resource and Referral Agencies (INCCRRA) is holding its annual Higher Education Forum. Lisa Hood will be presenting to college and university faculty and staff about how the videos and resources available through this project can be used to advance the learning of our future pipeline of early childhood teachers. VIEW ALL videos and begin your training today!